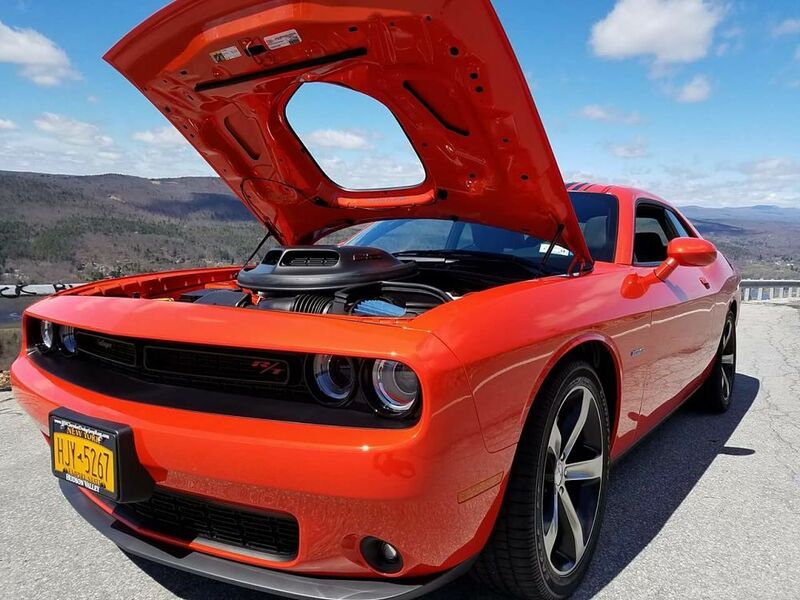 Please enjoy this next story by Rich M.
We are 3rd and 4th generation car guys who travel all over the Hudson Valley NY and Catskills to meet people, take pictures and their cars. 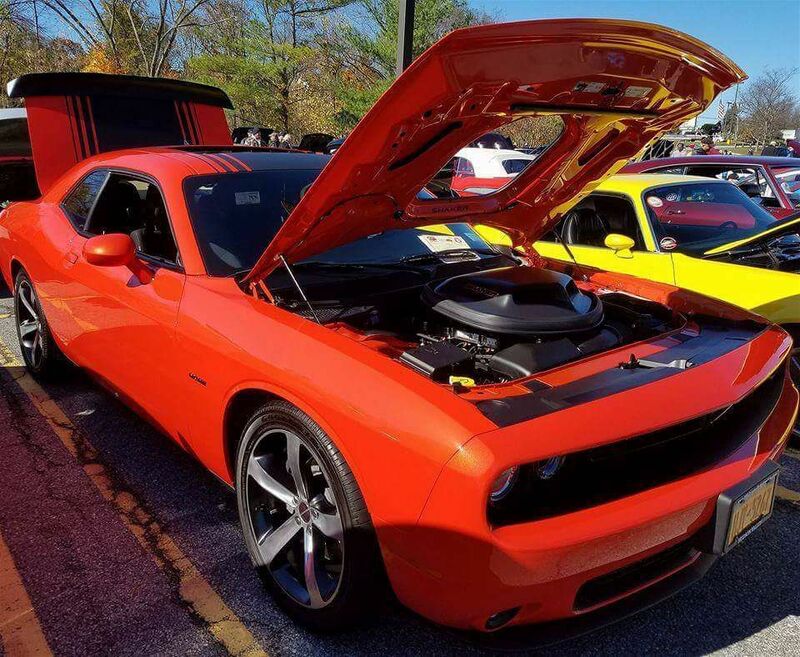 We like taking day trips to car events so much, we built our own site that lists and tracks car shows. 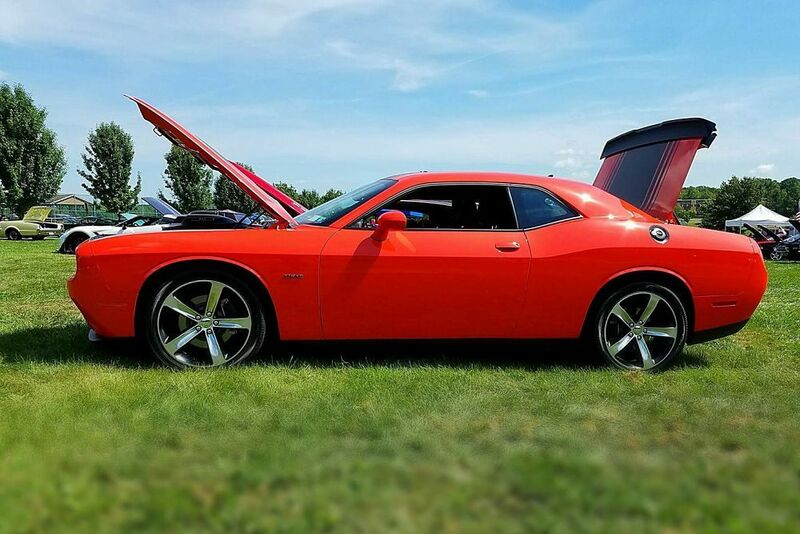 We hope our site encourages new people to bring their cars out or attend a cruise or show in their area. 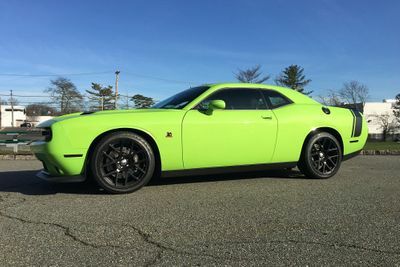 The CruiseHV ride of choice is a 2016 Dodge Challenger Go Mango RT Shaker. 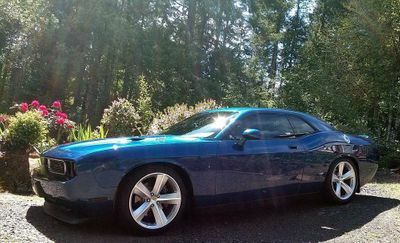 We like the retro look of the Challenger! The car is one of fifteen for the year 2016 in that paint and configuration. We chose a late model car so we can get in and go longer distances with lots of space and modern comfort. 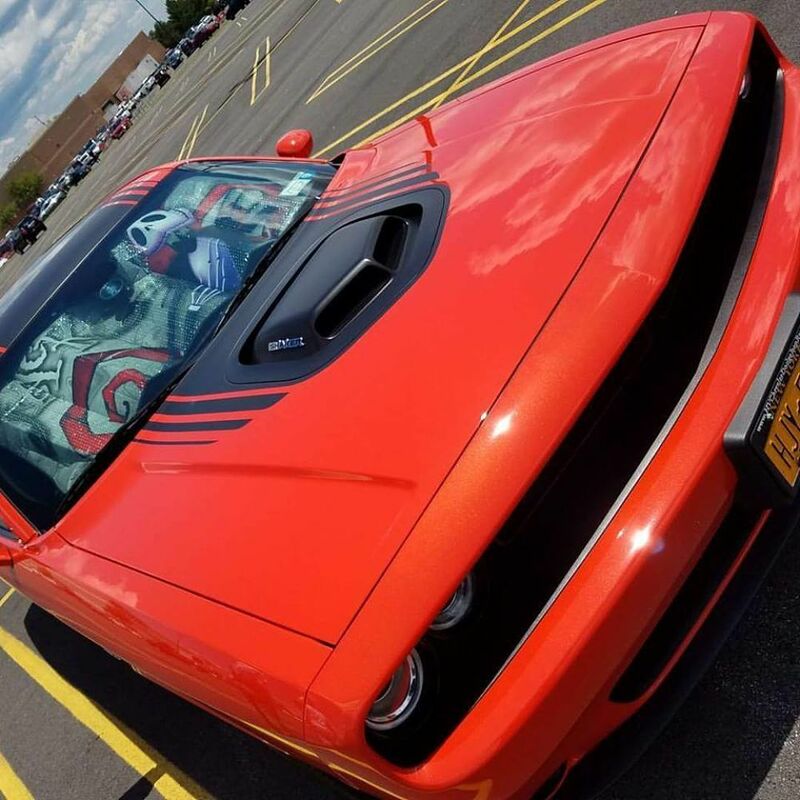 The first thing people notice about the car is the color. Its bright orange! Halloween has always been my favorite Holiday. 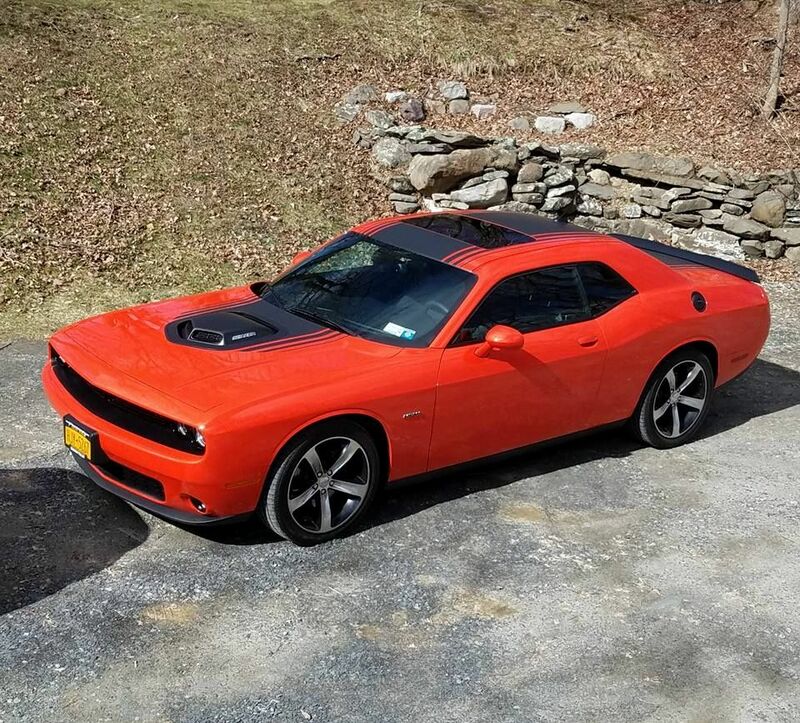 So I own a glowing Orange car; as bright as the headless horsemen’s head! The color has metal flake, and depending on the amount of sun and time of day, it can look red. Besides the color people notice the Shaker Hood. It's such a tribute to that vintage look. It’s also badged. 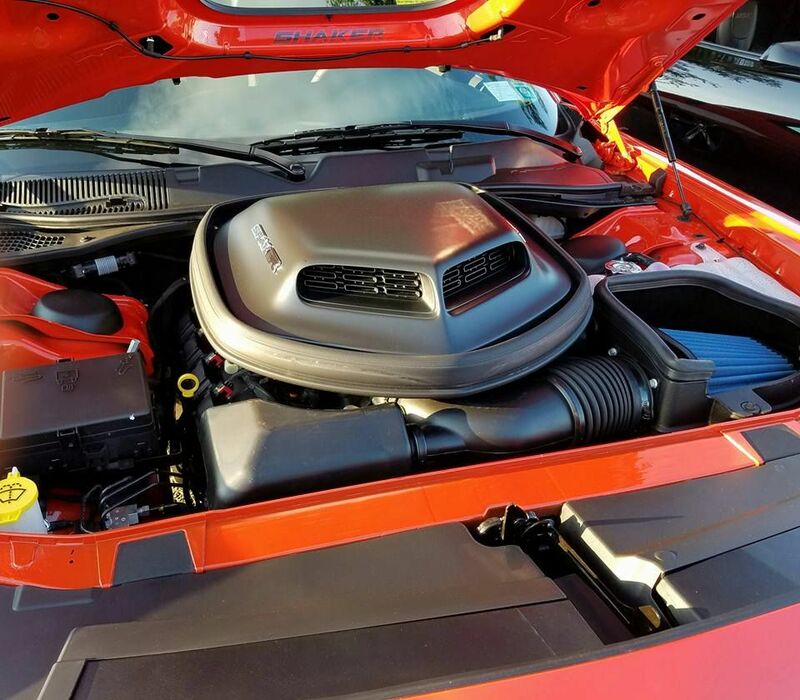 When driving, it you see people watching the hood; pointing and mouthing the words S-H-A-K-E-R.
Coming from a hot rod family, the louder the car the better. 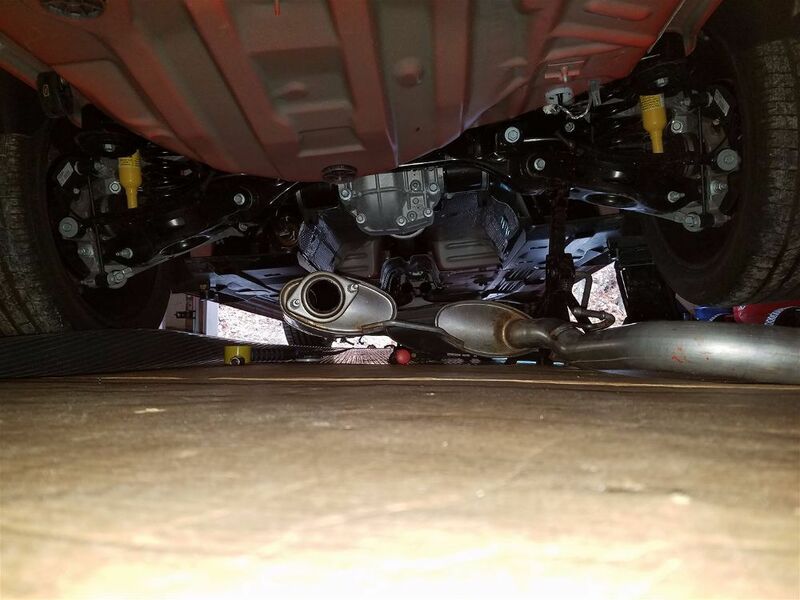 So the first thing that had to come off the car was the stock exhaust. 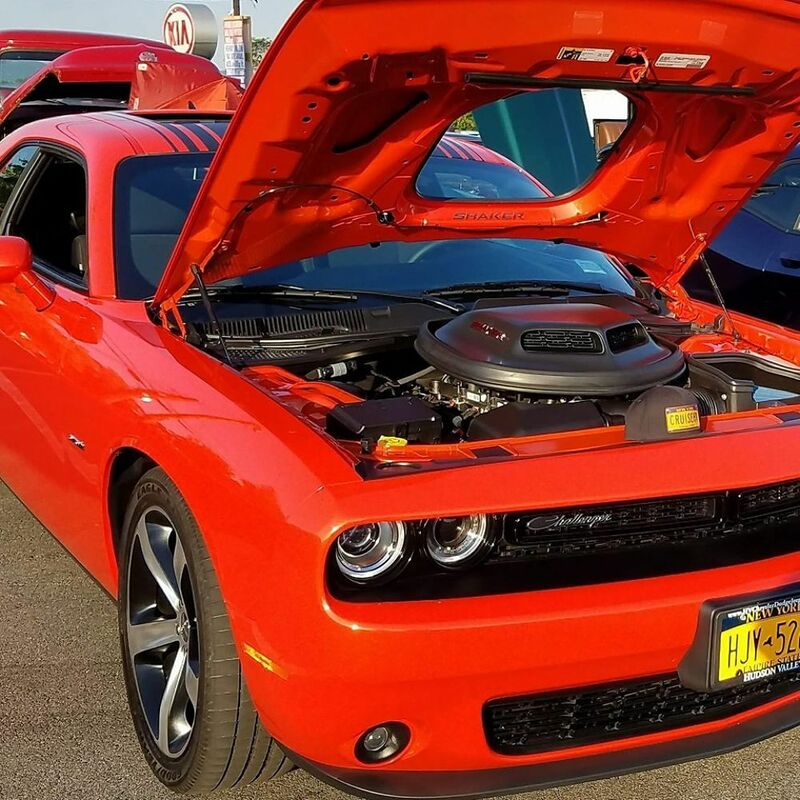 A muscle car needs to sound like a muscle car. I wanted that “I love my neighbors at 3 AM sound". As a throwback to the classics; there was no other choice but to put a Flowmaster Outlaw Exhaust on it. It’s a tuned straight pipe mid muffler and resonator delete with quad stainless tips. It sounds so much better; Especially in tunnels. 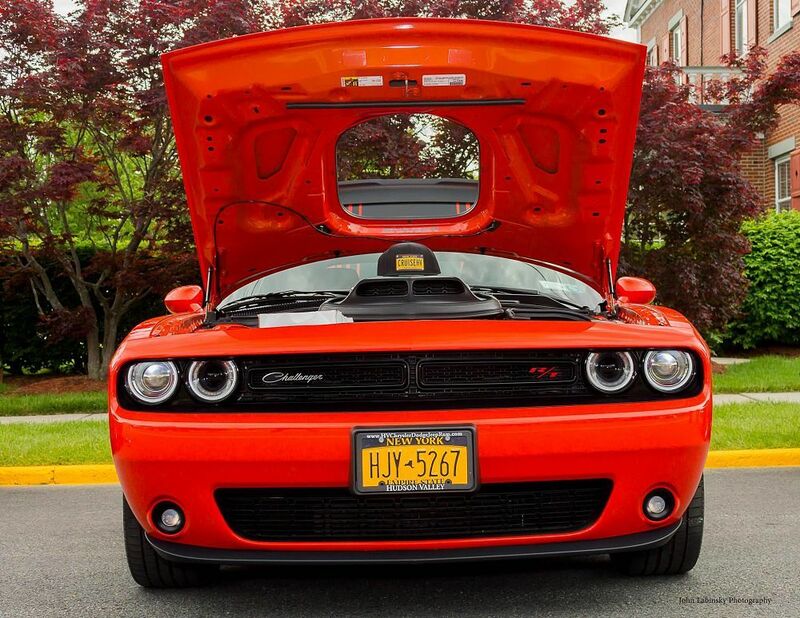 It’s a modern muscle car with a classic sound. 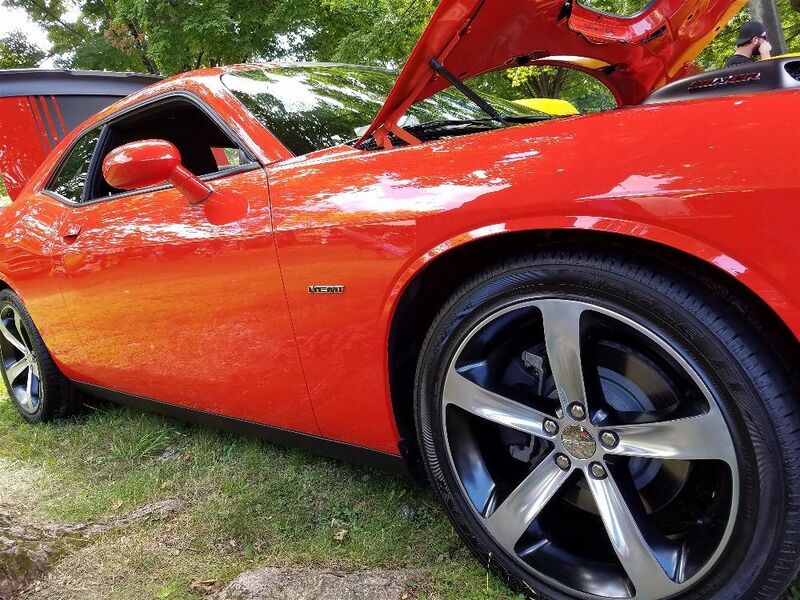 "I want to thank my son Gryphon and our sponsors Raffi's Auto Detailing and Limitless Care Care for making the CruiseHV car so sharp!" To learn more about CruiseHV, please visit them on their website, Facebook and Instagram pages. 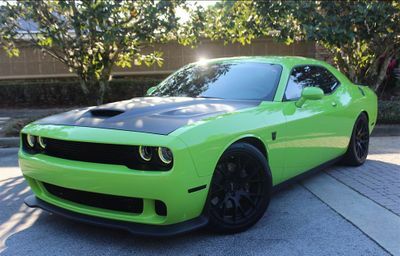 Check out some of the other photos by CruiseHV's 2016 Dodge Challenger Go Mango RT Shaker.